Once a month--or more if we've got something really exciting to share--you'll receive an email with the latest news from Tre-Fin, updates on product availability, upcoming events, cooking tips and recipes. And we're always happy to answer your questions about our commitment to bringing you the freshest, healthiest, most delicious albacore tuna available. Our practices for catching and processing our Day Boat Tuna are unique to the Tre-Fin operation. 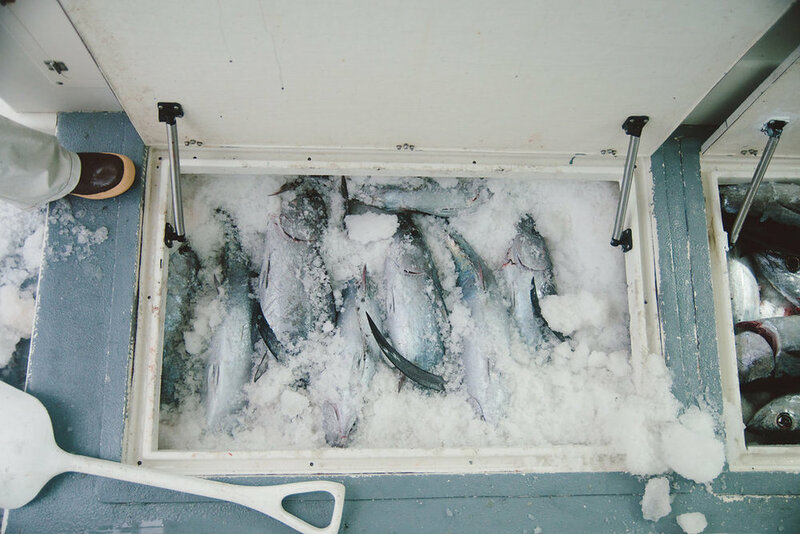 We are proud to respect the fish, build sustainable communities and offer consumers a share of the abundant Pacific Northwest albacore we catch and process the same day. Providing sushi quality albacore tuna, sustainably caught and meticulously cared for, direct to consumers through a Community Supported model.